I’m still sad that rising young actor Ahn Hyo Seob, who is currently nailing it in SBS drama Thirty But Seventeen, turned down the male lead role in upcoming teen romance Love Alarm. 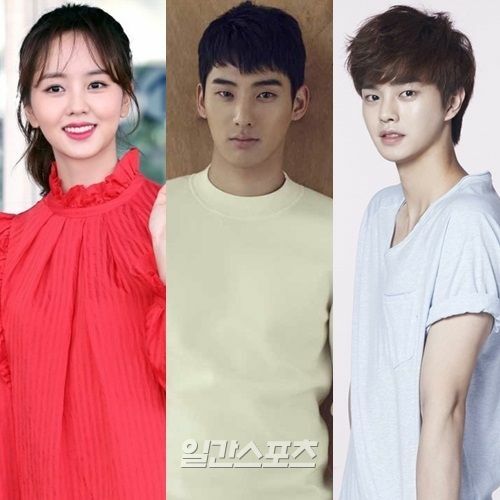 The pairing of him with Love Alarm confirmed leading lady Kim So Hyun seemed like a match made in drama casting heaven and now the male leads confirmed for Love Alarm are both unknowns to me so I can’t get excited (yet) that they are a good fit. Love Alarm’s leading men will be Jung Ga Ram and Song Kang and I legit never heard of them before but that’s on me. Male lead Jung Ga Ram has made one-off appearances in drama Heirs, Heard it Through the Grapevine, and High Kick 3 as well as winning the Blue Dragon New Actor award for the movie 4th Place and second male lead Song Kang had small rolls in The Liar and His Lover and Man Who Sets the Table. Love Alarm is adapted from webtoon and will be directed by the PD of Fight My Way airing in early 2019. It’s nice to see more young actors taking on lead roles so we have more age appropriate pairings. So true! There needs to be a new breed of actors in the early 20s which is heavily absent! Dramas like this are the perfect opportunity for them to shine alongside a heavyweight established actress. I’m also glad that they are finally giving her proper age actors! Exactly more rookie actors need to come in especially for the very young but super popular stars like sohyun. This is totally a well casted drama a total step up from the previous lead. Myabe they can go seasonal with this like they have for Kingdom. Fresh faces! Bring it on! Just an FYI since this is not a complete article. The drama will air exclusively on Netflix with 8 episodes. The male leads are from actor only agencies SOOP & Namoo respectively. Kim So Hyun has also confirmed to be the femlae lead for Miss Granny drama remake which will be her main acting project next year. In other words I’m hyped for her comebacks. They finally gave her proper female centric dramas which she can hard carry all by herself with her skill set. @Jasmin, if that’s the case I guess I can come to terms with Ahn Hyo Seop turning down the role. I guess miss granny is the main drama she’s looking forward to? She confirmed another drama? This is great news. I loved that movie so much I’ll be excited for this one too. @Jasmin Is it true its only 8 episodes? That’s a good number so I guess it means they’ll keep it packed with actual story minus fillers. Good thing I have a Netflix connection if its airing only exclusively. Isn’t the 2nd guy the bff from liar lover? Omg he is so cute! I’m for this! Is this true? That’s already such a cute premise. Justice for all second leads. It’s hard to say bc the drama will only have 8 eps, it depends on how the story will flow. 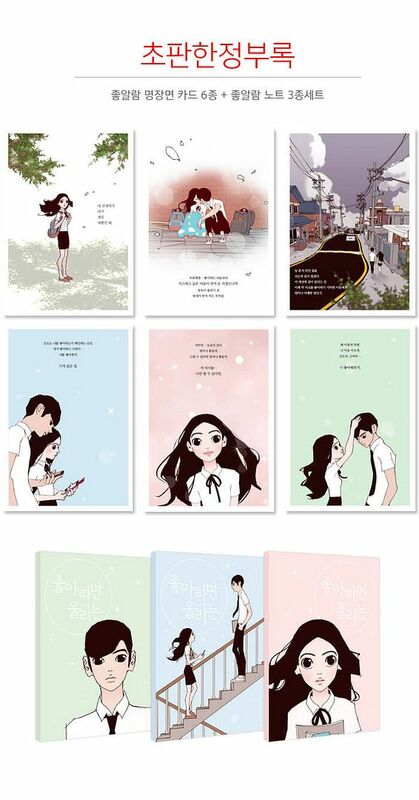 The webtoon is yet to be completed too. The story is on a hiatus but yes, she ends up with the 2nd male lead. Any age appropriate pairing is good news these days! The all look cute together which is all that matters for a sweet romcom! KSH in ANYTHING is a must watch! She’s uber talented with a great personality and looks to boot! This plot sounds generic but cute in an appropriate way for a transitioning former child actress. Good going KSH! It’s good that the drama will only have 8 eps, high chances they wouldn’t take the story onto the more infuriating parts. The webtoon was good but the story kinda got annoying as it went on. Hope this will be full of the fluffy goodness from the first half of the webtoon!! This so amazing casting news to wake up to. Pumped. For a moment there, I thought that Song Kang is Yook Sung Jae. They look kind of similar, don’t they? Anyway, I’m all for age appropriate pairings. I’m looking forward to this and crossing my fingers that the two male leads will be able to deliver. Am I the only one who remembers Song Kang from the The Liar and His Lover? I had third lead syndrome for him there! Great he’s moved a step up! I see no problem here.Bring on the young and fresh talent. Fresh faces should be the new normal. They all already looks great together. Thats why Ahn Hyo-Seop decline this. Netflix drama doesnt really help his profile. But he’s an idiot so who cares. Netflix made Millie Bobby Brown and the entire Stranger Things cast a massive success. Netflix is the biggest thing these days. Netflix wants to air this exclusively but I think tvn still wants in on it. lol how many shows netflix has made, how many in that has success? Has any Netlix show become a big deal in korea or even korea watch netflix? Netflix is even less relevant than OCN. Who is this person who can’t even remember their login details to respond? I’m an international student living in korea so I promise you it is a huge deal. Who told you OCN is irrelevant? Its more popular than SBS, KBS or MBC among the young population here. Its a big deal to get a Netflix production these days which is why I’m thrilled these guys signed up for it. International exposure is a huge deal these days with more and more illegal streaming sites being shut down. Netflix is buying out all the big productions like Mr Sunshine, Life, Something In The Rain, Meteor Garden or Memories of Alhamabra. Non mainstream asian drama viewers are buying into whatever Netflix sells them. I agree with the OP they’ve become behemoths completely sweeping the Emmy’s this time. This is huge in every way. Just to add to my previous point everything Netflix has made is a success at the moment from Crown, Lost in Space, Stranger Things to Switched or Terrace House are all popular shows. Even Bae Doona’s Sense8 or her upcoming drama Kingdom show the massive popularity of what Netflix offers. Name one Korean Netflix drama is a huge deal in Korea? Netflix made hundreds of show per year, and the show make it big you can count on finger. A drama in tv network has more chance to be known in Korea and internationally than be in a drama in netflix. Nowaday, every drama in korea have raw and sub within 24 hours. You dont need to exclusive to netflix to get exposure. @1 Did you miss the part where OP said Sense8 was a huge hit? Or the list that koala posted about Boys Over Flowers being one of the most watched drama on Netflix worldwide. English subtitles come from fan subs or legal sources who exclusively buy it out like Kocowa or DramaFever. Netflix is buying out their market base and will soon become the only source of drama consumption for international audiences. They have more money than anyone else. They must be paying her big bucks just to appear in the drama. You’re an anti who’s jealous she’s gonna shine out your bias buy newsflash she already has. Shes huge all over Korea and international so get over it. That ship sailed a while back. She’s basically a CEO now running her own company making truckload of money. Sense 8 is not a Korea drama or movie. It has one Korea actor. Korean drama that show on netflix and netflix made drama are two different things. Boys over flowers or any other big hit drama, it is already huge before netflix stream them – without netflix it is still a huge hit, drama dont need netflix to be a big hit. Mr Sunshine/ Something in the rain arent a hit because of Netflix, Netflix is only a service that want the cut. Because Netflix make the drama, its gonna be a huge hit. Lol dont be delusional. Im not talking about KSH, Im talking about AHS. KSH fans all come at him like he is stupid to turn down the role. Why should he be in a short drama, in an exclusive service, you dont know when its gonna air or korean even watch it. He is already 2nd lead of a successful drama in public network, now all the doors are opened for him. Being in a Netflix drama is a step back, not a step forward. TVN is still airing it so chill out. He’s clearly not one for making good decisions but a Blue Dragon Award winner will always be smarter than a model turned actor so no surprise there. tvN is also airing this so I don’t think that’s the reason. He has been playing student roles for quite a while; maybe the guy is sick of it. And a rom-com has no space for his acting to grow as well. wow they really want her for this because they wait 2 months & find male leads only of same age not force older male for her. they also find actor not idol actor or model actor to force on her. must be they have many trust in her acting also star power. it is something very very great. I think those who says Netflix is not a hugh deal are ignorant. Multimedia has grown so fast that some people just refuse to learn and to accept. If any mentioning of Netflix drama triggers your anxiety coz you know nothing, you better take on a subscription and search what you can watch there. Terrace House is certainly fun to watch, and so is Crown. Netflix may not be hugh in Korea but it reaches far more internationally than the TV screen in old grannies’ home who just tunes into Daytime dramas. However, I hope even though Netflix wants it, the drama will be aired in some paid cable channels like TvN or JTBC so it can reach a wider audience who has no access to Netflix. Not just ignorant but downright delusional. I don’t know why antis try to undersell her success like anyone believes a word they say. Her popularity doesn’t even need the be stated she’s already completed her child to adult transition now she’s moving onto a different level altogether. I’m laughing at anyone who says Netflix isn’t a big deal. Let’s be honest we all have the app on all our devices. I only watch stuff on Netflix now. My motto is if its not on Netflix I won’t go hunting anywhere else to watch it because why bother. If it was really worth watching Netflix would have bought the rights to it I mean we all know how deep their pockets run. Its not just Crown or Terrace House but I’m obsessed with Rain and Switched as well. The content for these Netflix Originals is insanely gratifying. Well its up to Netflix now. If they want only online content they won’t sell it but if they want more dissemination they’ll maybe hand it over to the highest bidder. Netflix is a big deal. But only in US or so. In Asia it is still a newbie. I try netflix in my country, only few good shows available. I can find korean, chinese drama few hours after air with sub elsewhere, plus all kind of tv shows and movies free on the internet. Netflix is still a long way to go to become a thing in Asia. Who is telling you these lies about Netflix not being big in Asia or are you the one trying to sell it. Its making you look very stupid because a simple google search will tell you whats real. I have a feeling this will be very cute! I think Ahn Hyo Seop just wants to rest, or maybe he has another project in line or waiting for a more mature role. In any case, I like the fact that he is willing to wait and maybe not just do another meet-cute drama. I don’t even know why it matters what he wants or doesn’t because he was never relevant to plot anyway. The story has always been about JoJo so literally anyone else is just a supporting character so it doesn’t matter who they cast for the other roles. He’s so irrelevant to any casting news for this drama. Well it matters to me since it seems like everyone who doesn’t like him or maybe seeing it as a crime or something that he rejected this role. You don’t have to criticize someone just because you are a Kim So Hyun fan. The words I’m seeing here against him like he’s a fool for refecting this drama, and he’s a loser and Kim so Hyun is some prestigious award winner. Which I don’t have any issues with but people don’t have to praise someone at the expense of ridiculing someone else. And I don’t even see people calling the many actors who rejected DOTs dumb and what not. DoTs was such a bad drama but Jo In Sung did say he regretted rejecting it. People called Kim Woo Bin an idiot for rejecting Pinocchio and we know how that turned out. Jinyoung, Ji-soo, Jung Chae-yeon are going to be in an 8 epi Netflix drama. Apart from KSH, all 5 actors are rookie/newbie, plus Love Alarm project has been on the table since Jan 2017. Its pretty much a test water projects. Yeah sure Jisoo is a rookie/newbie. Keep telling yourself that if it makes you feel better. He’s more popular and in demand than AHS can ever hope to be. Jinyoung is no rookie either he has an established idol career behind him. Chaeyeong is the only newbie but she’s literally the hottest thing in Korea these days. Love Alarm is like Kingdom a project to capture the Korean Market in its entirety. Kingdom already has been flagged for a second season but it hasn’t even aired yet. Love Alarm is the same for them they made it shorter so there can be more seasons later. Don’t try so hard your jealousy is showing. Jisoo hasnt got a breakout hit yet. He hasnt got any award from any big award yet. He is an up and coming. Idol career has nothing to do with acting career. Chaeyeong is the hottest thing these days? Lol where? She hasnt even have a proper 2nd lead role yet. See how many big actors in Kingdom and $2m each epi budget? You compare love alarm to that? Do you even know who jung ga ram and song kang are or you have to google about them? Everyone please ignore @1 this person is a troll and we already know whose fan they really are. Take it from Sungjae – DON’T FEED THE TROLLS. I’m Asian and I promise you NETFLIX is gigantic over here. Everyone watches it even by 80 year old grandma watches it. What rock are you living under exactly? Stop trying to pretend NETFLIX isn’t a thing when we all know it is a super big deal. Besides TVN is still airing the drama they just opened an IG page to confirm it. TVN is bigger than any public or cable channel in Korea so chill out. He’s stupid for not signing up for it simply because he’s scared about backlash or whatever. From what I’ve read of the spoilers is that he wasn’t the lead role anyway. He’s not even that big a deal just a flavor of the season. He’s far below any of the female leads of the dramas he’s rejected to count as anything worthwhile. Btw he didn’t reject the Kim Yoo Jung drama, do your research right before criticizing him left and right lol. Also don’t you think he might even have some reason for not doing it? Wow it’s funny how quick people are in bashing someone. Also for no reason. And it’s not like we can predict future and see who can be successful or not but seems like you already have foreseen the future lol. Kim Sohyun fans are so bitter. Calling the guy dumb and all-sorts of insults just because he dare reject a drama with their bias!!! Lmao. The guy has been filming non-stop for months from a web drama to a recently concluded SBS drama, and yeah blame him if he wants a break! A quick google search: Netflix has 1.5m subscription in Asia as Oct 2017. If that is huge in your book, congrats. If someone else is the lead girl, people wouldnt care to comment. Suddenly its KSH, her fans make it like it the biggest thing in the world. Her last two dramas flop duh. Ruler is still undefeated in ratings on MBC and has aired on NHK. Your bias has only flop dramas to their credit so stop trying to compare. Kim So Hyun can’t be defeated when it comes to acting by any of her peers. She’s more talented and has a truck load of awards to her credit. The budget for Love Alarm is the same as Kingdom just so you know. In fact its more because Studio Dragon is producing it the ones who made Goblin along with Hidden Sequence the ones who made Signal. Granted most of that will go to Kim So Hyun herself. This drama was a big deal even before anyone was attached to it simply because Netflix was making it international news channels like CNN reported it on national news. What are you even trying to prove by making yourself sound dumb? Netflix has over 2 billion subscribers in Asia as of March. Do more research and you should know. They’ve entered more markets this year so their base has expanded exponentially. @Liu, where did you get the figure 2 billion subscribers in Asia?? I’m interested because the last time I read Netflix has 130 million streaming subscribers worldwide of which 57 million is from the US. So you just make up stuffs as you go? iqiyi, youku dont even have 500million subscribers and you claim Netflix has 2 billions? Wake up dud. Do you know why Kingdom has big budget? Because its a historical drama and freaking Bae Donna, you want to compare a fluffy drama and KSH to that? Ruler is a flop duh. KSH has even less screen time than 2nd lead. It wanted to be the 2nd Love in the Moonlight but turn out KSH is just a long time cameo. @Isle sorry to burst your bubble but he did rejected that drama because Song Jar Rim also did many other acting activities bit stuck around despite the sudden schedule change. He’s a young rookie with almost nothing to his credit. He should have stuck around if he wanted to act in a lead role. Choosing a second lead role over a lead role does make him a bit immature. No one in the fandom cares about him rejeting the drama since most people didn’t want him in the first place. Go around and read the fan accounts they were thrilled when he turned it down. Just see the comments on Soompi Twitter. Everyone wants Sungjae for her. Song Jaerim’s drama ended in July though, so he can start filming in August. Ahn Hyo-seop’s drama only ended yesterday; he had no choice to drop out. And so what if he rejected CWPFN? He didn’t lose anything by choosing to star in Still 17. The drama was a hit and he received praise and recognition for it. You guys claim you didn’t want him but look at KSH fans barraging the comments section now and bashing AHS for his decision. Go and celebrate the fact that y’all got a Blue-dragon award winner as the male lead and a Sungjae look-a-like as the second lead instead. Maybe you should take a look over on Twitter. Aren’t random ‘fans’ trying to drag her down for accepting a ‘Netflix’ drama. I’m glad her fans are starting to stand up to random antis and giving back as much as they’ve had to hear from jealous antis. The hate she got for accepting a cameo role last year was ridiculous they even attacked her dead dad. People are trying to pretend that AHS is some drama genius for not taking this drama when we all know he’s still new and maybe doesn’t want to get typecast. He would have turned it down irrespective of the female lead. If others think they can drag her down using that silly little excuse then it works both ways. The claims from both sides might be very stupid and completely immature but enough with hate comments for a 19 year old. If he happens to be the collateral damage for this silly fight then so be it but this time I’m happy to see her fans won’t back down. I don’t follow Kim Sohyun news on Twitter. Besides, who the hell are her antis you claim she has? I don’t see any from the site, and neither do I see Ahn Hyo-seop fans dragging her down and claiming he is a genius? Kim Sohyun’s fans are the one who is being stupid and immature now (and over-defensive) with a simple comment made by a user above. From the first casting news, KSH fans have been confident about AHS accepting and saying he would be an idiot not to. And now that AHS rejected, they are calling him an idiot and a flop. What I see from this “fight” is Kim Sohyun fans being too overconfident and resulted in their ego being bruised. This is why they are coming up with all sort of lies, like lying about the numbers and targeting their anger on AHS, and now calling anyone who doesn’t praise KSH as “antis”. Lol I hope Ahn Hyoseop never has to work with Kim Sohyun. Her fans have such a big ego. Can’t imagine how scary they will be in the future. Even KYJ fans didn’t bash him when he pulled out of her drama. Haha yeah. I am surprised to see the kind of comments coming from at least the kim so hyun fans here. I haven’t seen anything like this at least in other sites. Fan wars already even before the drama is filmed?! LOL… I disgree with “KSH can’t be defeated when it comes to acting by any of her peers”. She is a good actress, but I can also name several just as good, young and talented. So what’s there to argue for? mind if you guys tell me where you’ve seen So Hyun’s fans criticizing/badmouthing AHS for declining the role (aside from the ones above). ’cause as far as i remember, i still haven’t read any comments like that. Even on our group pg in fb where there are almost 30k members(SH’s followers) and lots of news about love alarm where shared, I never found criticism thrown towards him. And of course if we really hate him for declining then we would have criticize him there since it’s a closed group and no other fandoms are there. In fact, lots of people actually felt sad about the news since lots of them find KSH and AHS a great pair. If you look at the comments on the articles on fb (you can have soompi and allkpop as reference since it’s a popular page), most of the commentators are saying how sad they are. And mind you, you can see that those commentators are KSH’s fan accounts. Indeed, there are lots who were hoping for Sung Jae to be the lead and others were suggesting some celebrities. But it doesn’t mean that they are against AHS. And if we talk about twitter and instagram, I also haven’t seen any criticism towards him. (well please do tell me if there are actually lots since I haven’t found any). You know, it’s just so sad how you guys generalizes us just because some were being immature. Also, we are also not sure if those were actually SH’s fans or just some trolls or just someone who is not a SH fan but thinks that AHS wasted the opportunity. Well, maybe yes, there are some who are being immature and badmouths him. But isn’t that common? I mean, we all know that it’s just natural in their field. Also, in mydramalist and asianwiki, there are no commentators saying stupid stuffs towards him. So you guys should stop it!